While poring over the River of Words poetry collection, Chris Castro was struck by the expansiveness of Poseidon’s Steeds. “It seemed to have that grandiose quality that I really loved. Also the actual shape of the poem really interested me.” The poet’s strong imagery and word choice inspired Castro to choose the organ as an instrument of accompaniment to his composition, and write an exciting and vocally demanding piece. He uses the sonority of the organ and intricate, dissonant vocal passages to create the feeling of movement and growth of a wave as it builds toward the beach. And as Castro’s Poseidon’s Steeds progresses from its calm, hymn-like opening to its powerful finish, the musical shape of the composition mimics the shape of the poem’s words on the page. 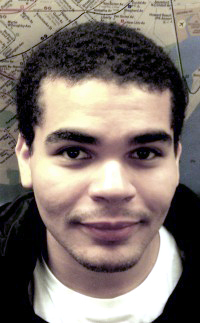 Originally from the Bronx, NY, Chris Castro began playing bass at the young age of seven and composing at age fourteen. He earned a B.M. from the Juilliard School in both double bass and composition, and is currently a graduate student in composition at the University of California, Davis. Among numerous awards for his compositions, Chris is a winner of The ASCAP Foundation Boosey & Hawkes Young Composer Award Honoring Aaron Copland, the BMI Theodora Zavin Memorial Scholarship, and the Juilliard Orchestra Competition. His winning work, Monolith (A Symphonic Sketch) was premiered by the Juilliard Orchestra at Alice Tully Hall. Allegra M. Hyde wrote the poem Poseidon’s Steeds at age 14 in her native New Hampshire. She earned a BA in American Studies from Williams College, and is pursuing a MFA in fiction at Arizona State University. 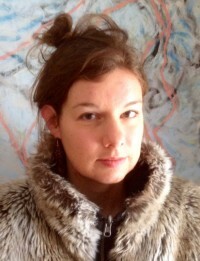 In addition to teaching creative writing, Hyde’s short stories and essays have been widely published and she is the prose editor for Hayden’s Ferry Review. of fury, a fusion of hues. charging the beach are Poseidon’s steeds.